Idea. 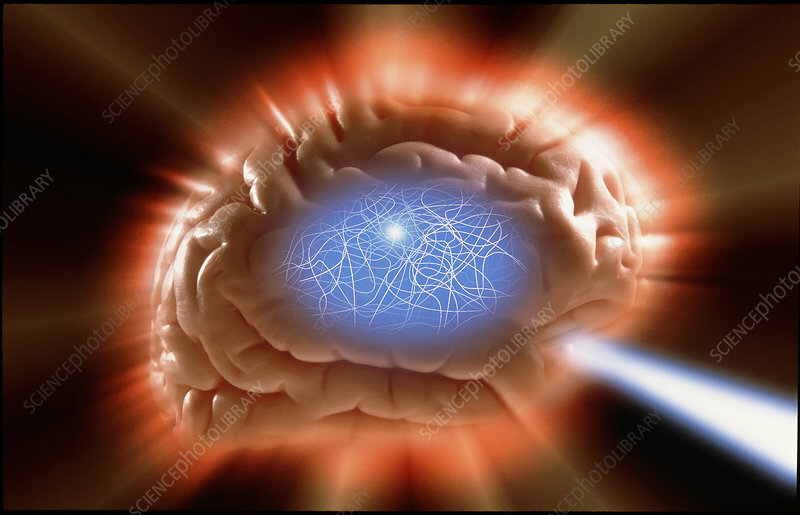 Conceptual artwork of the brain representing an idea, or flash of inspiration. Tangled fibres are seen in the blue area at centre, perhaps representing the countless nerve fibres the brain contains. The bright area amongst this network may be the source of the idea, which manifests itself outside the brain as a beam of light (lower right). The surface of the cerebrum of the brain is highly folded.